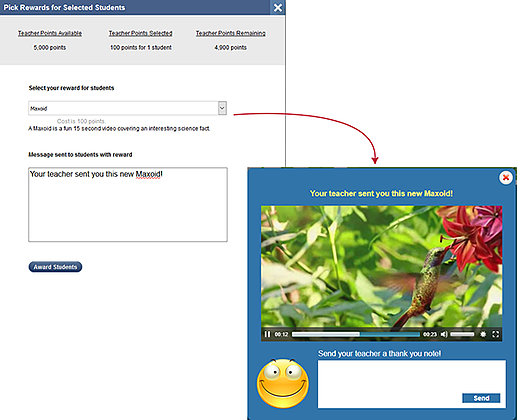 We just released a new feature: Teacher Rewards! In this module, teachers earn points when their students answer questions and pass lessons in the program. Teachers can then "spend" these points on rewards for their students. 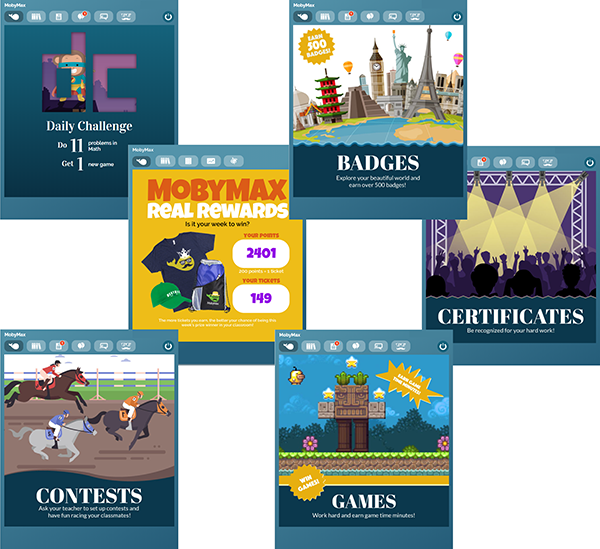 Reward students with game minutes, games, badges, Moby Friends minutes, sweepstakes tickets, or educational videos called Maxoids! We handed out a bunch of free points for you to get started - why not give rewards a try today? Exciting news! 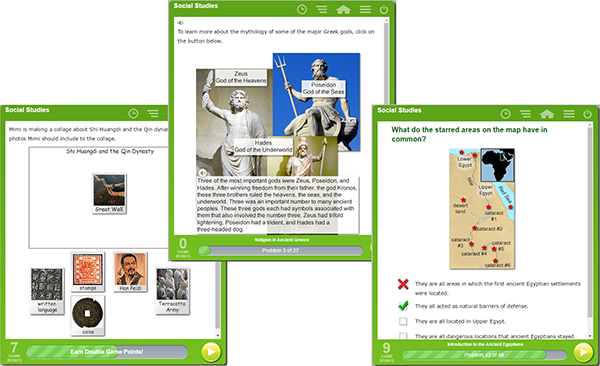 MobyMax has just released Social Studies for grade 7. Click on the "Library" tab to see our new lessons on Ancient Egypt, China, Greece, and Rome! We know how much you love to share students with other teachers, and we know that sometimes it's hard to keep track of settings when you share. To help manage settings for shared students, we've introduced the "Principal Teacher" setting. This allows any teacher to adjust who gets to control a student's default settings. Under the "Share students" menu, you will see a new tab called "Shared Teachers." 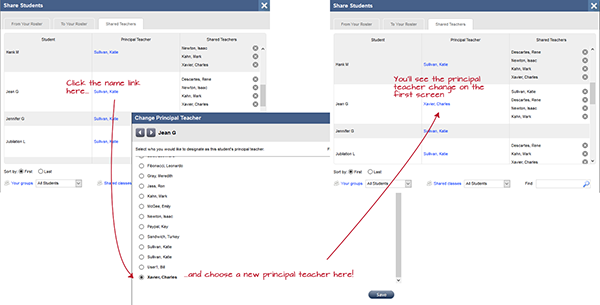 Click the principal teacher name link to change the principal teacher for any given student. The Wall just got a new upgrade: it is now called Announcements and Tasks! Use this feature like a classroom bulletin board to send out announcements, post assignments, schedule events, or poll your students with just a few clicks. We've also spruced up the screens that report lessons. These changes make it easier to view and print student lesson scores. On the Snapshot screen, you can now print or export scores by each individual lesson. Good things come to those who wait! 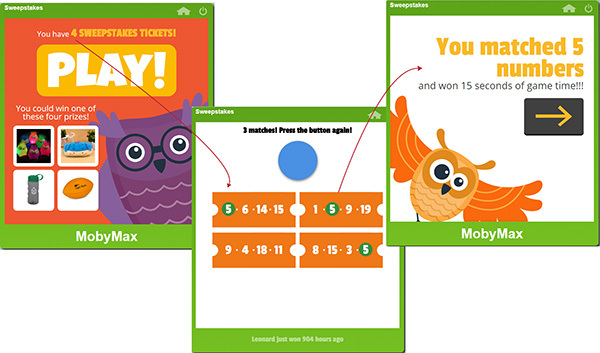 MobyMax has revamped the Sweepstakes module based on user feedback (thanks, by the way!). The module is better than ever; students no longer have to match numbers in the exact order in which they appear on the ticket. They can also earn game time or even new games, depending on the number of matches they get. To make sure students stay focused on learning, they must answer 30 questions correctly to earn a sweepstakes ticket. Don't worry - because we've made Sweepstakes easier to win, those extra questions will be worth it!